Gone are the days when you had to use a DVD and an optical drive just to install an operating system. Thanks to high data capacity USB flash drives. 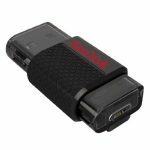 Now you’re able to make bootable USB of almost every operating system, all you need is setup files and a spare empty USB with gigabytes of storage. It is no surprise that Microsoft’s most powerful operating system, Windows 10 can be installed through a USB drive, although you need to perform few easy steps to make it bootable which are mentioned in the guide below. 1. 8 GB USB flash drive. The drive has to be in good condition and also must be from a good manufacturer e.g. SanDisk. I’m saying this because sometimes Windows installation gets stuck or gives Blue Screen of Death (BSoD) when you use a faulty USB drive. Microsoft provides operating system downloads in form of .iso file extension. 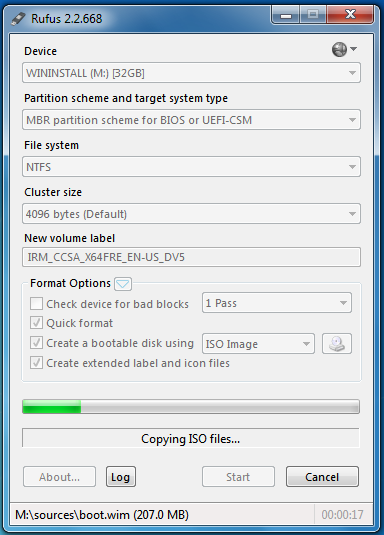 The ISO file can be used to make Bootable USB drive and DVD’s. You can download the latest Windows 10 ISO build from Microsoft website. Rufus is a free versatile utility that lets you build Bootable USB of operating systems. It formats USB filesystem and makes the USB bootable using the ISO file. Alternatively,you can use Microsoft USB/DVD Maker tool which is slightly outdated and does not support UEFI. 1. Download the Rufus Bootable USB maker tool and Windows 10 ISO from the links mentioned above. 2. Start the Rufus tool and connect your USB flash drive, if User Access Control (UAC) prompts, click Yes. 3. Click the small CD/DVD drive Icon on the format options box. Now browse through your downloaded files and select Windows 10 ISO file that you downloaded. 4. Make sure you have selected the correct USB Device, go to My Computer and check the Device Letter and its size so you don’t format the wrong drive by mistake. 5. 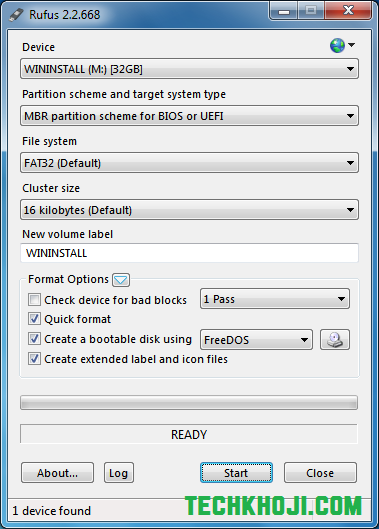 [Optional step] You can change the partition, file system and system type. If you don’t know them skip this step and leave the settings to default. 6. After you have selected both ISO file and USB drive, click Start to begin making bootable USB, it will show a warning that it will erase everything, that’s obvious, just click Yes. 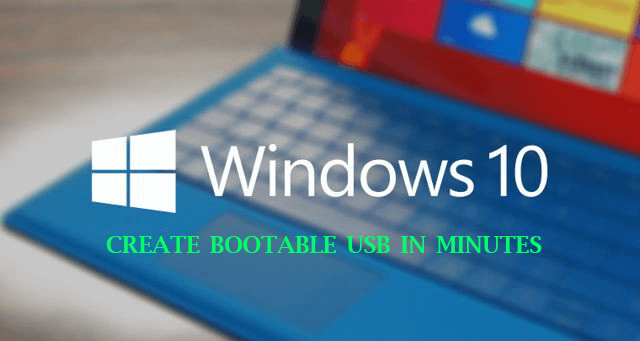 It will take approximately 10 minutes to make bootable USB for Windows 10. When the process is done. 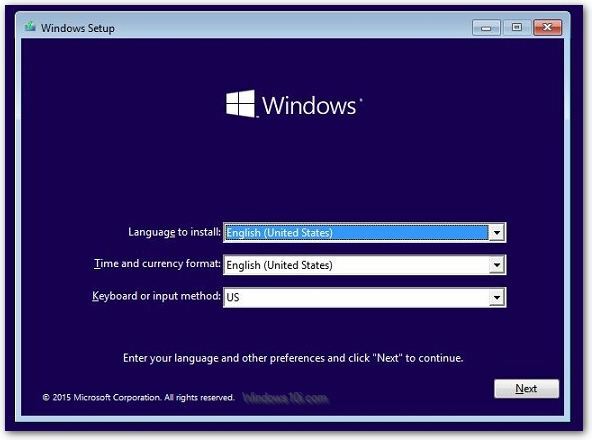 Connect the USB to the PC you want to install Windows 10 to and set the first boot device to USB storage in the BIOS. Making a bootable USB will wipe everything from that drive, so start off with a clean drive. You can connect to a USB 3.0 slot to speed up the entire process. Windows 10 will ask you for licensing and registration once you are done with the installation. So make sure you have activation key with you. Please post a comment below if you face any problems during the process. I will try to respond. Great! AO it will be easy… */8.1 I found was bad at keeping the UEFI partitions in place. Someone hackws into my system (though I have Kaspersky Pure) and some malware somehow made it’s way into my system…To top it off, I come home from my day doing he grind, just to find whomever did it, not only put a key in for 8.1 Pro, but as well made my Windows 8/8.1 keys invalid :Blacklisted” according to the Microsoft Techs I spoke to…Asus was useless… So I joined the insiders program last year, and I decided to permanently install Windows 10 on it… I hope Microsoft gives us a good discount for us insiders. Oh as well one quick question…. With Windows 10 Bootable, can we have it preset to enter in our keys, as most are built into our s0ystems, as well maybe a tut0otial how to make a personalized reinstall disk EG: Drivers, AV = Firewall, Apps, etc…) That would be awesome! Thanks! I made bootable usb stick. Thanks friends i had made my pendrive booatable for windows 10 and formatted my p.c that was not working properly……again i wants to thanks to whome who had uploaded this…..